Situated beside a private 20 acre lake our log cabins offer the comfort of home in a get-away setting. 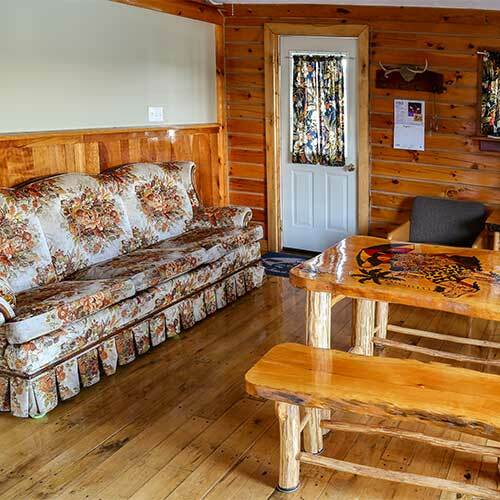 Our cabins can comfortably sleep up to 4 people. Ideal for hunting and fishing trips, we’re only minutes from the Pennsylvania border. Plan your next family vacation at Mystic Waters Resort. Reservations are by phone or in person only. Call your hosts, Bill and Karla Rounsville today to make arrangements for your next event! This website, all text and images, copyright© 2015 Mystic Water Resort in Limestone, NY. No use permitted without permission.